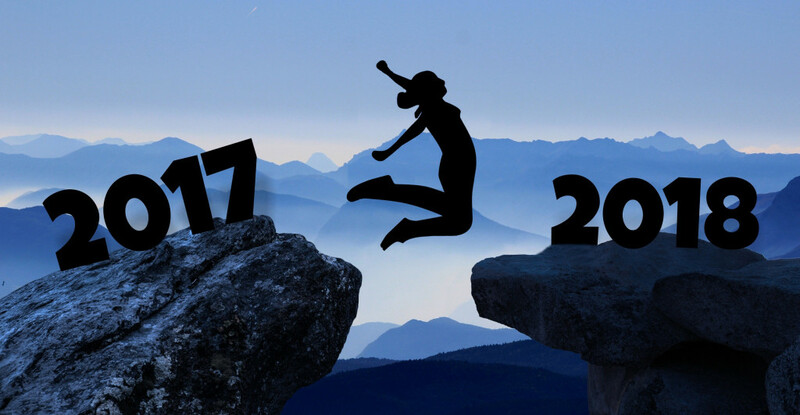 2017 has been productive, inspiring and full of achievements for all of us. In our mission to boost your productivity and make life simpler, we’ve relied on your feedback and reviews to make 24me even better. Our focus for 2017 was Customization and Ease of use – to let our users customize and use 24me as their personal assistant in the most convenient way possible. Additionally, due to high demand, we have put much effort into bringing 24me to international markets; 24me is now localized in 14 languages! All this work has been included as part of a massive version update for 24me with many new additions which are available on the App Store for you to download. A new year is a promise for a fresh start. We will keep improving 24me in order to help you keep your New Year’s Resolutions. May 2018 be a super efficient year for you. 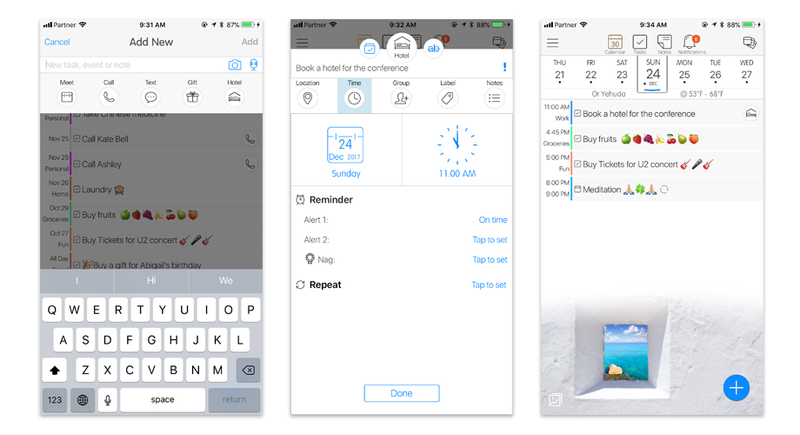 Support for LANDSCAPE mode for iPhone and iPad – you can now work with 24me in landscape mode across on all your iOS devices. 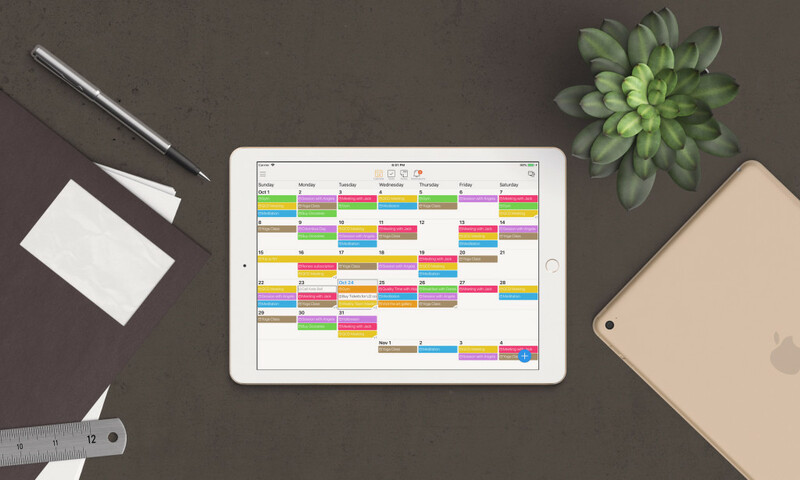 5 unique calendar views – Just in time for getting organized and boosting productivity for 2018, with the 5 unique calendar views, you can choose between: Month, Week, 3-Days, Day and List views. It is now easier to see your schedule for the upcoming months, weeks, and days. 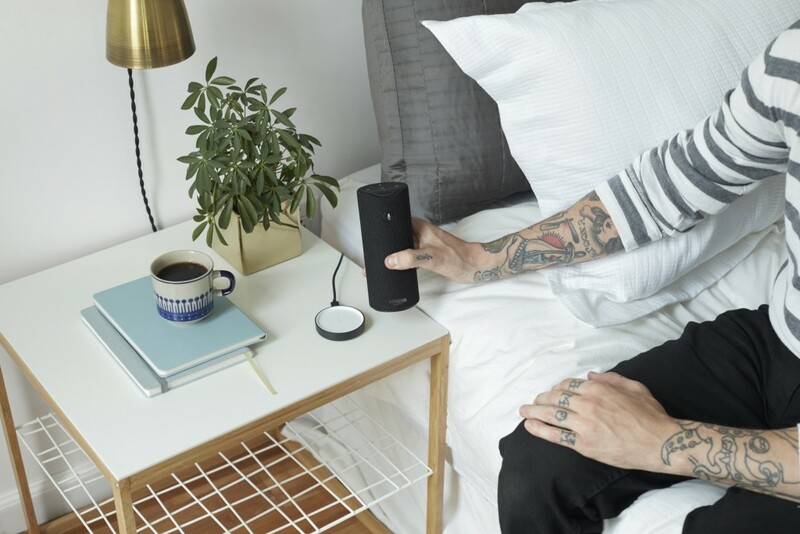 Collaboration with the top assistants – The new integrations with Amazon Alexa and Siri allow you to add tasks and events when you’re on-the-go or at home – all without opening the app. New Partnership – Users can now save more time by booking hotels anywhere around the globe with a single tap from 24me. This can be done by adding a new task for a planned trip, or by using the shortcut bar when adding a new item. Hundreds of new gifts from top-selling vendors – 24me reminds you about important events in your life such as birthdays and special occasions, and enables you to purchase and send gifts through the app. In 2017 we’ve added more vendors to our in-app gift shop, where you can automatically send gifts to your family and friends. Gifts can be sent immediately or can scheduled to be sent on a specific day. Time zone support – Our users who work globally have found this feature to be one of the most convenient features offered by 24me. Time Zone Support allows for scheduling meetings worldwide while choosing the relevant time zone. Single touch task completion – (Still being highly rated by 24me users as one of the top time savers) – the task completion button allows users to complete tasks in one tap through the task itself, from the notification center, or via 24me’s widget. We are committed to building the best personal assistant and our team is working hard to make 24me the best app to boost your productivity. I LOVE this app but unfortunately I had to almost immediately delete because it isn’t compatible with web or pc. I’m an executive assistant and I need to be able to use it while i’m at my desk. If you decide to update it and make it compatible I’ll use it in a heartbeat! You can actually use ANY desktop calendar app you’d like and it will automatically sync events with 24me! Love this app, the only thing that I can’t see is if on safari and I want to look at a link later on I can’t upload to 24me, will that be an option? That feature is on our list. Love the app, what I’m miss is if I see something on Safari I can’t upload to 24me will that option be looked at? Yes, this is something we plan to add. Also when and if will there be a desktop version? This is something we plan to add but there is no final date yet.